Home › Marketing › Advertising › Robots! Lasers! A cute girl! A cat! …and delicious grilled cheese! Robots! Lasers! A cute girl! A cat! …and delicious grilled cheese! Inori Aizawa at home, safely browsing the web with an ergo keyboard, her conspiratorial cat, and a Microsoft Surface close at hand. I assume this image is copyright of Microsoft? Anyway, please don’t sue me or send a frivolous DMCA take-down (this is totally fair use, plus I’m advertising for you). Also, I own and even occasionally use a Surface. What do you think of when you see the first four parts of that headline? Most of us probably thought “Jerry Bruckheimer summer blockbuster spectacular with thin plot and thinner characters”, but if you didn’t say “Internet browsing”, then Microsoft thinks you’re wrong. As described in a post over at Business Insider, Microsoft’s New Anime Mascot Will Throw You For a Loop, Microsoft has personified Internet Explorer in the form of a tweenie-bopper anime heroine (the woman if distinguished courage or ability, not the homonyminous drug) named Inori Aizawa. Oh noooos, robots with directed energy weapons! Hey, wait a minute, I have a special shield that is a metaphor for safe browsing! They’ve also introduced some short videos to, I dunno, convey her personality and functions? If you really want to get to know her/it, she/it also has a Facebook page. That’s pretty neat. I’ve always liked examples of a third-party doing something neat and then pitching it to the “real” company and being rewarded for creativity, and I’ll remember this one. Now, personifying a brand isn’t anything particularly new. Sometimes companies do a “brand personification” exercise in which they speak to focus groups in order to figure out what people think of when they think of your brand. Are we a nutty professor? A trusted advisor? That slimeball who takes your money and never finishes the job? Truly knowing and embracing brand personality lets you ensure consistency in your promotional messaging (and really all customer interactions) and can be a rallying point for the entire team. This exercise is often a precursor to follow-on activities, like fixing whatever is wrong and actually introducing a mascot. When described so casually, it might seem like a silly piece of marketing fluff, but truly knowing and embracing brand personality lets you ensure consistency in your promotional messaging (and really all customer interactions) and can be a rallying point for the entire team. I’ve been a part of these exercises before, and to this day I have an inner monologue that uses “Is this consistent with our brand personality?” as a sanity test for pretty much anything I create that’s customer facing. 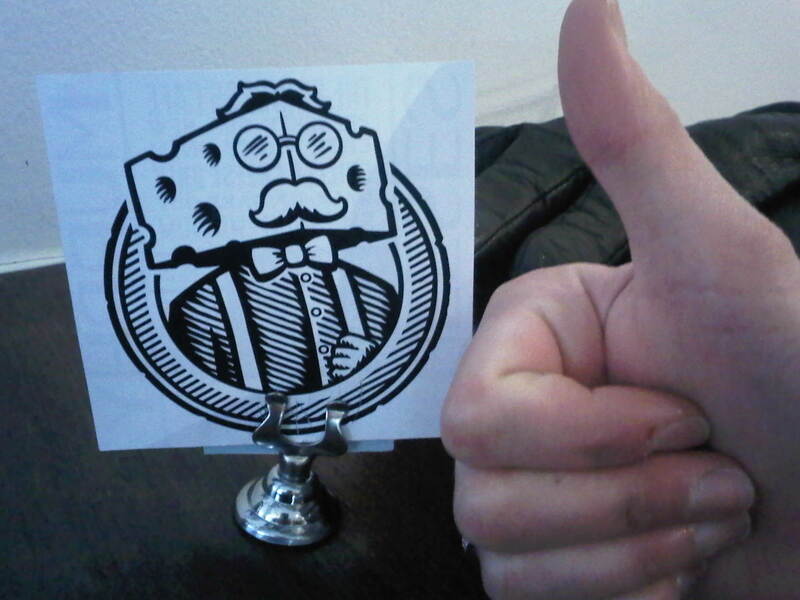 This whole Microsoft thing has also reminded me of perhaps my all-time favourite brand mascot, Cheeses Murphy. I took this pic in 2011 at the Princess Cafe. There has never been a more awesome and regal mascot. No, not even you Mr. Peanut. I mean, look at the profound manner in which he’s holding his suspenders and gazing thoughtfully into the distance. Cheeses started as a late-night only, take-out only grilled cheese offered by Princess Café in Waterloo, but due to overwhelming popularity there is now a dedicated Cheeses Murphy location at the incredibly awesome Duke Food Block (the DFB makes me sad that I work on the North-ish end of Waterloo). If I used Twitter, I would totally follow Cheeses Murphy. ‹ Who will join you in the future?